With the whole team plus Dakota Servold and Taylor Smith Brostyle! 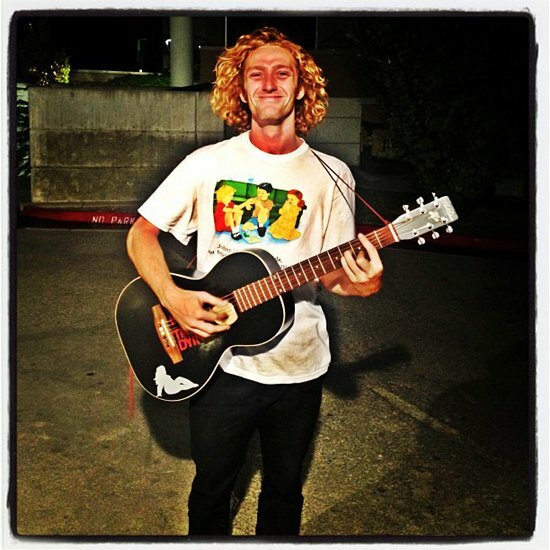 See Dan-Lu and J-Lay on Vans tour: Photos and Footy at the Vans Tour website. 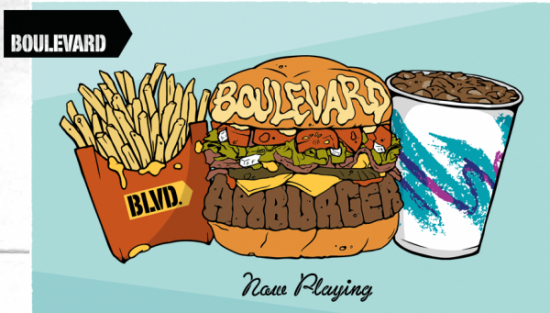 Check out the savory stylings of Dekline flow skater Billy Davenport in the BLVD video, Amburger. First try and with a slight early exit to avoid a handrail collision, Josh Harmony attacks a random Hubba found on the road. Posted September 27th, 2012 by Is Your Interest Piqued? Matt B picks one of the Tempster. Larry Schmidt skates for Pro Skateboard Shop in NJ, but recently moved to San Diego. Lately Larry has been shredding our ramp and he got together with Zane Timpson and banged out a killer part in the Tum Yeto Shred Zone. A collection of Steve Perdue footage compiled over the past few years while filming for upcoming full length Toebock "American Folklore" Video. Check out Dekline Footwear team rider Pat Burke taking the new $lave Rat Race cruiser board out for a spin. Frankie Decker must have an awesome mom. 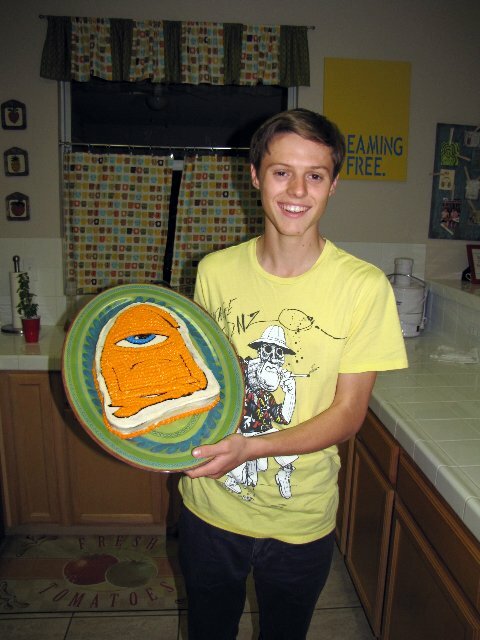 Posted September 25th, 2012 by Young Men Eat Cake and Eneter the world Energized. Check out Nick Trapasso over at ESPN and see what's new with him and LE. Foundation and Dekline AM Ryan Spencer has been blowing up in the past few years. From his Foundation WTF part to magazine coverage, there’s no denying it, the kid’s on fire right now. He has a “Who’s Hot” in Skateboarder Magazine's newest issue, so they thought they would interview our team manager, Mike Sinclair, and get the inside scoop about Ryan. Boo yeah. Now vote for the Machine in Woodward's Video Shootout. EVERYDAY. Posted September 17th, 2012 by So yeah, we are gonna win. 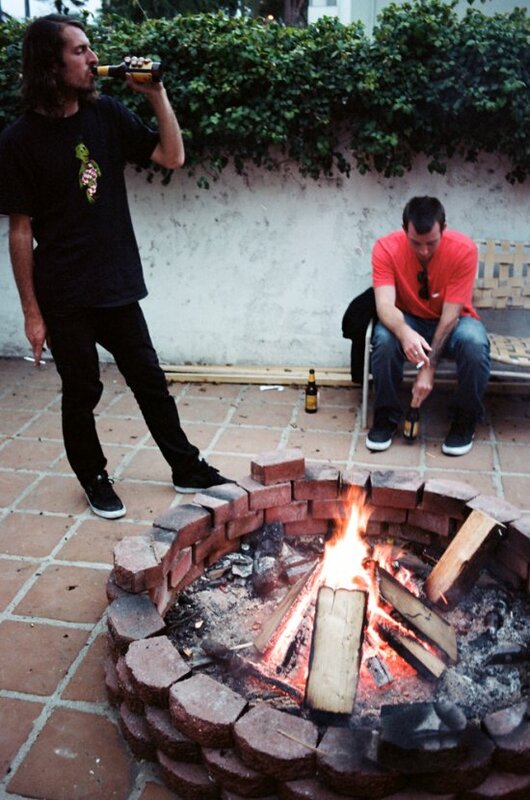 Tum Yeto Tuesdays is a night for local skateshops to come to the shred zone and hang out at our HQ. Skateshop owners, employees, team riders and friends rip the Yeto Ramp, all while throwing down a few cold ones and grinding some pizza from Pizzeria Luigi. Surfride was the latest crew to roll down south and shred our ramp! Peep some photos of the night shot by James Tull and Surfride CEO Josh Bernard. Watch the destruction, then VOTE! Posted September 13th, 2012 by We are losing! So Loyal Pawns lets go! Watch and Vote for the Dekline Footwear skate team in the Woodward West Shootout! The skateboarding community deserves a skateboard shop that is operated by people who live and breathe skateboarding. Encinitas,CA has been fortunate to have a shop like this since 1987. McGill's Skateshop is with out a doubt a 100% skateboarder owned and operated business. This has never been more true considering that Mike McGill is the owner of the shop. 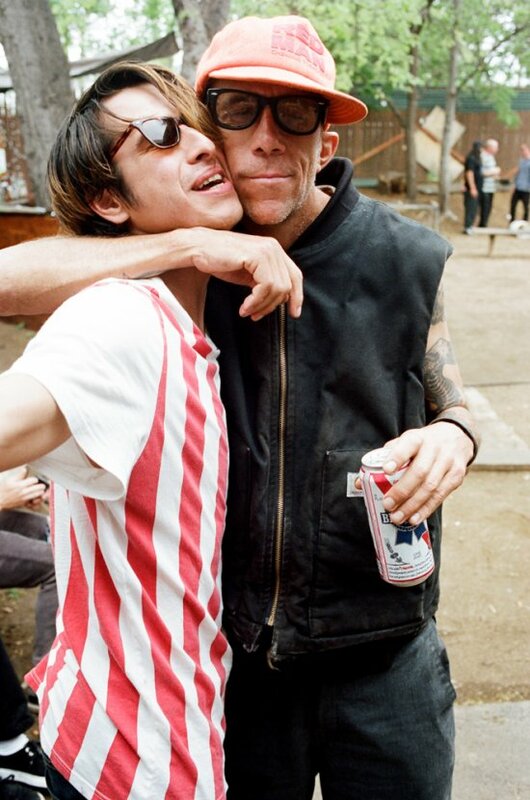 Mike is one of the original pro skaters from the Bones Brigade skate team and he is the inventor of one of the most revolutionary skateboard tricks of all time, "the McTwist". Mike's employees shred too! Check out McGill's employee, Matt Weiss pictured below. McGill's skateshop employee Matt Weiss is no stranger to shredding. 5050 pop out. Almost live from the KOTR! 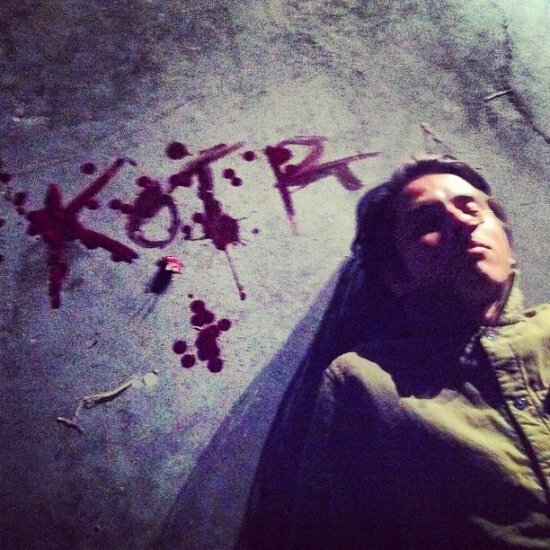 Posted September 10th, 2012 by But What Are You Doing Now? Check out Leo on the latest Burnout! Posted September 10th, 2012 by Scoreboard Baby. 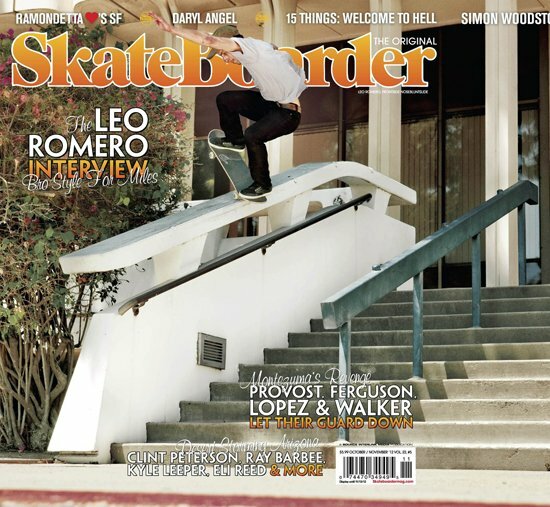 Leo Romero - cover of Skateboarder! Boo-ya! Leo Romero melting your face via impossible run-up and height. Yes! Check out Skateboarder Magazine. Posted September 7th, 2012 by Go out and make purchases! Let us recite the tell and keep the fires lit. Sometimes it's about who you know. Networking for the upcoming KOTR.